Adam Anderson’s grandparents emigrated from Ireland in the early 1800s. On February 21st 1855, Adam Henry Anderson was born. Adam migrated to what is now Melfort, Saskatchewan with his second wife, Matilda Jane, and became the publisher and owner of the Melfort Moon, the local newspaper. 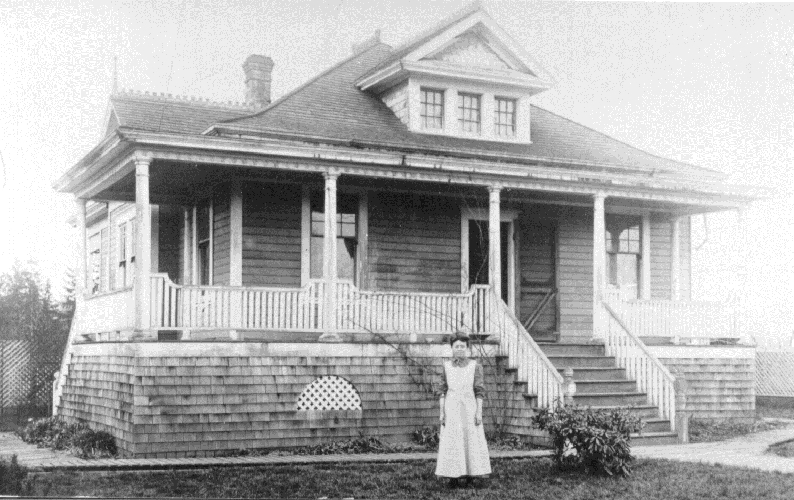 The Anderson couple had five children and moved to British Columbia around 1905; first to Chilliwack, and then to Maple Ridge around 1907. Mr. Anderson became very active in forming a Farmer’s Institute in this area. The couple’s five children were Effie Mae, Justin, Birdie, Vera, and Myrtle. Effie Mae married the son of Edmund Pope (who was the first local constable). Justin had two children who are currently Maple Ridge residents, Audrey Swain and Margaret Fuller, and Birdie became a school teacher at the old Maple Ridge school which was located not far from their home. Not all of the children moved to British Columbia with Adam and Matilda. 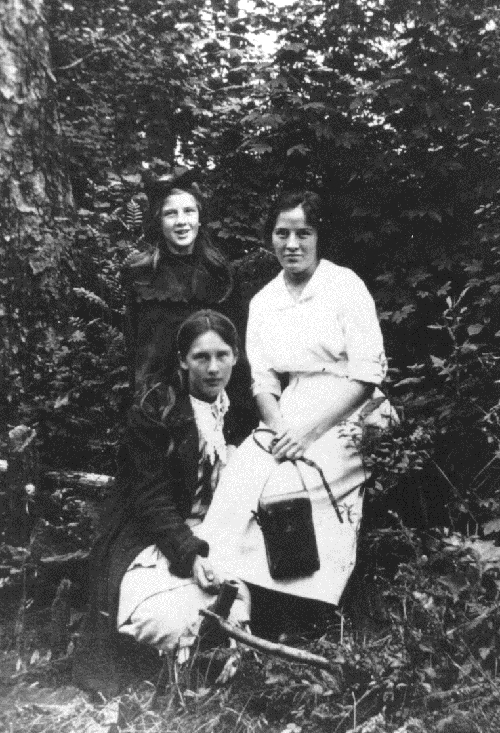 Myrtle, Vera and Birdie Anderson out for a walk in the woods in the early 1920’s. In Birdie’s hand is what appears to be a folding camera case. In 1915, Matilda Jane Anderson died of diabetes. On November 4, 1919, the Maple Ridge Poultry Association held a banquet in honour of Adam Henry Anderson. Around 1924, the Anderson farm (the original home was on Laity Road) consisted of about 3,000 chickens and 10 acres of orchard. The orchard contained fruit trees of all varieties. Effie Mae, at this time, had come back to Maple Ridge to live on the farm with her three children. In 1934, Adam Henry Anderson died. His son, Justin Anderson, moved into his father’s home with his family. The Anderson home was beautifully restored in the 1990’s and can be see just south of Lougheed Highway on Laity Street, on the west side of the street. The Adam Henry Anderson house on Laity Street circa 1910.